The SKA Legacy is 10 years today. There haven’t been any changes since last year (the switch in names and mottos). I hope my dad is pleased and may he continue to rest in perfect peace. SKA Ventures goes over expectations and beyond imagination. It is constantly raising the bar for excellence in innovation and service. Headquartered in Lagos, Nigeria, SKA Ventures is a leading, privately-owned, diversified business conglomerate. It owns and oversees the operations of several companies with interests spanning various industries all over the world. Through the dedication of its employees worldwide, SKA Ventures remains one of the most admired, dynamic and profitable companies in the world. SKA Ventures began from Pearl Kreations on Monday, January 28th, 2008 in Hamilton, Ontario, while Sylvester Kay-Adade was a freshman at McMaster University. Circa September 2009, the vision for The SKA Group was conceived, and the following year, it was implemented. On September 21st, 2010, The SKA Group Inc. was officially registered in Canada under the laws of the Province of Ontario. As Pearl Kreations became more successful, its profits provided the necessary capital for the exploration of new industries. The explorations birthed Property Management Firm, Ransrive Realtors, in November 2009; Think Tank, Sylver Productions, in August 2011; and Small & Medium Enterprises (SME) Advisory Firm, Herança Financial in April 2013. During its expansion into Nigeria in 2014, it was discovered that The SKA Group could not be registered in Nigeria as his father, Sylvester Adade, had coincidentally registered SKA Ventures Limited in December, 1991. In 2018, The SKA Group adopted SKA Ventures as its new name. Presently, SKA Ventures owns Café Euphorie, Herança Financial, Pearl Kreations, Prestige Academy, Ransrive Realtors, Suave Clothing, Sylver Productions, and Vecasyer Hotels & Towers, as well as controlling interests in RCubed-Merit LLP and Spinners Incorporated. SKA Ventures will relentlessly provide superior quality products and deliver exceptional service, while thriving to be the best and exceed expectations in all its business and social endeavors. SKA Ventures aims to be recognized as the global brand with a drive for innovation and heart after perfection. We believe in consistency in the right values. Fairness: There is no discrimination; everyone is equal and every job is vital to our brilliant success. Hard work: Excellent results are not manufactured, but accomplished through hard work. We understand that and are very familiar with it. Lawfulness: All our actions and activities are in total obedience, and in complete accordance with the law. Quality: All our products and services are always held to the highest standards. We believe in leadership by example. Accountability: We account and take responsibility for our actions, and conduct ourselves responsibly and transparently in all situations and at all times. Entrepreneurship: We are creative, innovative and ready to take calculated risks. Perfection: We are performance-oriented and put our best into everything. Like every family, we trust respect and trust each other, and that attitude flows right from the top to the branches. The people make the company, and our people are the best employees, executives, and partners; hence, we are the best company. We make everything about our patrons because it is. Community: A good community produces good people. Our people are good people because they come from good communities. In order to maintain the balance, we give back through caring for the environment, maintaining old and raising new fundamental structures, and providing basic necessities to lacking communities. Customers: Customer service is paramount to us because without our clients and customers, we would be non-existent. We are committed to continually provide value through our products and services. Every business venture is held to the highest standards, operated efficiently, and pacesetters in their respective industries. Café Euphorie is the chain of state-of-the-art cafes designed for and with the quintessential business executive in mind. Herança Financial is the global, small business advisory firm which deals in the provision of top-notch financial advice and solutions for small and medium scale enterprises. Prestige Academy is the educational institution which delivers quality, unparalleled educational services. These services include entrepreneurial education, financial management education, middle school education, high school education, private tutoring, and renowned etiquette & grooming classes. Pearl Kreations is the collectibles company which manufactures, retails and supplies superior quality pin back button-badges for a variety of corporate events and personal purposes. Ransrive Realtors is the property management firm which provides temporary and permanent accommodation through the letting and sale of commercial and residential properties. Suave Clothing is the unique clothing venture which retails luxury accessories from reputable brand names, manufactures and sells its own line of bespoke dress shirts, dress pants and suits, and provides wardrobe consultation services. It also produces a biannual online style publication called The Suave Series. Sylver Productions is the innovative firm which provides unique products and services that meet untapped customer needs. It developed, manages and operates proprietary services like CityMail™, TixItUp™, Datlik™ and Wefyl™. Vecasyer Hotels & Towers is the collection of the most stylish hotels and resorts worldwide, which offer 5-star accommodation with first class professional treatment and services. RCubed-Merit LLP is the outfitting firm which highlights and optimizes the potential for various living spaces by redefining the outlook of the rooms, offices, homes and work spaces through the reorganization and restructuring of their overall presentation. The SKA Group has fifty-one percent (51%) ownership. Spinners Incorporated is the agency which provides expert advertising services and solutions to its clients. It also uses its ace designing skills and creative wordplay to make befitting logos, catchy names and impressive slogans for its clients’ businesses, events and products. The SKA Group has seventy-five (75%) ownership. All subsidiaries operate independently, but are monitored and regulated from its headquarters, SKA Tower, under the leadership of the Chief Executive/Group Managing Director. It is time for another review of the company to mark The SKA Legacy. Some things have changed. For starters, I’ve decided to readopt SKA Ventures, so the company is no longer The SKA Group. The motto/slogan of the company has also changed from Over and Beyond. I noticed this year that Land Rover has the same motto/slogan. I have nothing against the brand, but I always wanted something unique, so the entire company with adopt Pearl Kreations’, which is Creativity Beyond Measure. Pearl Kreations’ will now be Gotta Button Up! Well, I hope my dad is pleased. Continue to rest in perfect peace dad. SKA Ventures goes over expectations and beyond imagination. It is constantly raising the bar for excellence in innovation and service. Headquartered in Lagos, Nigeria, SKA Ventures is a leading, privately-owned, multinational, diversified business conglomerate. It owns and oversees the operations of several companies with interests spanning various industries all over the world. Through the dedication of its employees worldwide, SKA Ventures remains one of the most admired, dynamic and profitable companies in the world. SKA Ventures began from Pearl Kreations on Monday, January 28th, 2008 in Hamilton, Ontario, while Sylvester Kay-Adade was a freshman at McMaster University. Circa September 2009, the vision for The SKA Group was conceived and implemented. By September 21st, 2010, The SKA Group Inc. was officially registered in Canada under the laws of the Province of Ontario. As Pearl Kreations became more successful, its profits provided the necessary capital for the exploration of new industries. The result gave rise to property management firm, Ransrive Realtors, in November, 2009; innovations firm/think tank, Sylver Productions, in August, 2011; and small & medium enterprise advisory firm, Herança Financial in April, 2013. In a bid to expand into Nigeria in 2014, it was discovered that The SKA Group could not be registered in Nigeria as his father, Sylvester Adade, had coincidentally registered SKA Ventures Limited in December, 1991. In 2018, The SKA Group became SKA Ventures. – Fairness: There is no discrimination; everyone is equal and every job is vital to our brilliant success. – Hard work: Excellent results are not manufactured, but accomplished through hard work. We understand that and are very familiar with it. – Lawfulness: All our actions and activities are in total obedience, and in complete accordance with the law. – Quality: All our products and services are always held to the highest standards. – Accountability: We account and take responsibility for our actions, and conduct ourselves responsibly and transparently in all situations and at all times. – Entrepreneurship: We are creative, innovative and ready to take calculated risks. – Perfection: We are performance-oriented and put our best into everything. – Community: A good community produces good people. Our people are good people because they come from good communities. – Customers: Customer service is paramount to us because without our clients and customers, we would be non-existent. We are committed to continually provide value through our products and services. Herança Financial is the global, small business management firm which deals in the provision of top-notch financial advice and solutions for small and medium scale businesses. RCubed-Merit LLP – the outfitting firm which highlights and optimizes the potential for various living spaces by redefining the outlook of the rooms, offices, homes and work spaces through the reorganization and restructuring of their overall presentation. The SKA Group has fifty-one percent (51%) ownership. Spinners Incorporated – the agency which provides expert advertising services and solutions to its clients. It also uses its ace designing skills and creative wordplay to make befitting logos, catchy names and impressive slogans for its clients’ businesses, events and products. The SKA Group has seventy-five (75%) ownership. All subsidiaries operate independently, but are monitored and regulated from its headquarters, SKA Tower, under the leadership of the President/Chief Executive. In my special way of marking The SKA Legacy this year, I decided to review the profile of the company. I hope my dad is proud and smiling down from heaven. Continue to rest in perfect peace. As I started, two or three years ago, I continued with an air of professionalism and simplicity. The SKA Group goes over expectations and beyond. It is constantly raising the bar for excellence in innovation and service. Headquartered in Lagos, Nigeria, The SKA Group Incorporated is a leading, privately-owned, multinational, diversified business conglomerate. It owns and oversees the operations of several companies with interests spanning various industries all over the world. Through the dedication of its employees worldwide, The SKA Group remains one of the most admired, dynamic and profitable companies in the world. 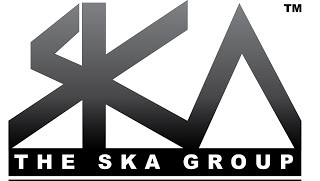 The SKA Group began as Pearl Kreations on Monday, January 28th, 2008 in Hamilton, Ontario, while Sylvester Kay-Adade was a freshman at McMaster University. Circa September 2009, the vision for The SKA Group was conceived and implemented. By September 21st, 2010, it was officially registered in Canada under the laws of the Province of Ontario. As Pearl Kreations became more successful, its profits provided the necessary capital for the exploration of new industries. The result gave rise to real estate firm, Ransrive Realtors in November, 2009; and clothing company, Suave Clothing in February, 2010. These were preceded by the acquisition of accounting firm, SKA Ventures in June, 2009; and followed by the development of innovations firm, Sylver Productions in August, 2010. Presently, The SKA Group owns Café Euphorie, Herança Financial, Pearl Kreations, Prestige Academy, Ransrive Realtors, Suave Clothing, Sylver Productions, and Vecasyer Hotels & Towers, as well as controlling interests in RCubed-Merit LLP and Spinners Incorporated. The SKA Group will relentlessly provide superior quality products and deliver exceptional service, while thriving to be the best and exceed expectations in all its business and social endeavors. The SKA Group aims to be recognized as the global brand with a drive for innovation and heart after perfection. Pearl Kreations is the collectibles company which manufactures, retails and supplies superior quality pin back button-badges for a variety of corporate, personal, professional, national and international events and purposes. Ransrive Realtors is the real estate company which provides temporary and permanent accommodation through the letting and sale of commercial and residential properties. Suave Clothing is the unique clothing venture which retails luxury accessories from reputable brand names, manufactures and sells its own line of bespoke dress shirts, dress pants and suits, and provides wardrobe consultation services. It also produces a biannual style online publication called The Suave Series. Vecasyer Hotels & Towers is the collection of the most stylish hotels and resorts worldwide which offer 5-star accommodation with first class professional treatment and quality services. All subsidiaries operate independently, but are monitored and regulated from its headquarters, SKA Tower, under the management of the President of the conglomerate. I continued with the professionalism and simplicity of the profile created last year in making some descriptive changes this year. Enjoy! The SKA Group goes over expectations and beyond. It is constantly raising the bar for excellence in innovation and service. Headquartered in Lagos, Nigeria, The SKA Group Incorporated is a leading, privately-owned, multinational, diversified business conglomerate. It owns and oversees the operations of several companies with interests spanning various industries all over the world. Through the dedication of its employees worldwide, The SKA Group remains one of the most admired, dynamic and profitable companies in the world. 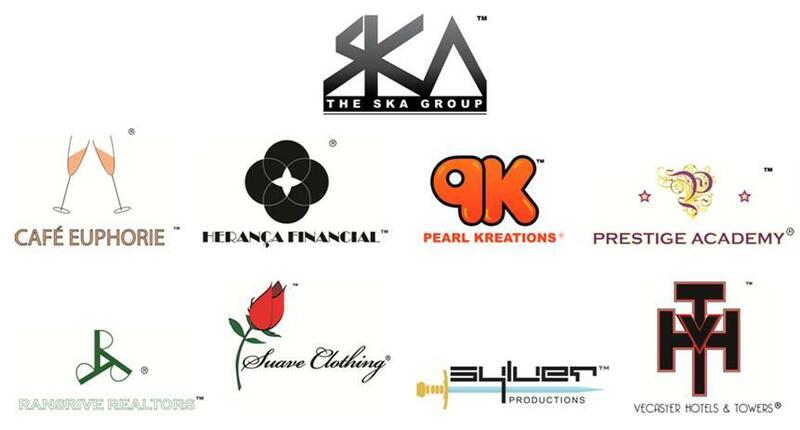 The SKA Group began as Pearl Kreations on Monday, January 28th, 2008 in Hamilton, Ontario, while Sylvester Kay-Adade II was a freshman at McMaster University. Circa September 2009, the vision for The SKA Group was conceived and implemented. By September 21st, 2010, it was officially registered in Canada under the laws of the Province of Ontario. As Pearl Kreations became more successful, its profits provided the necessary capital for the exploration of new industries. The result gave rise to real estate firm, Ransrive Realtors in November, 2009; and clothing company, Suave Clothing in February, 2010. These were preceded by the acquisition of accounting and insurance firm, SKA Ventures in June, 2009; and followed by the development of innovations firm, Sylver Productions in August, 2010. Presently, The SKA Group owns Café Euphorie, Herança Financial, Pearl Kreations, Prestige Academy, Ransrive Realtors, Suave Clothing, Sylver Productions, and Vecasyer Hotels & Towers, as well as controlling interests in RCubed-Merit LLP and Spinners Incorporated. Okay, I worked on a simple and more professional profile for The SKA Group. I love this new summary a lot better than those of previous years. I hope you enjoy reading this too. Enjoy! Headquartered in Lagos, Nigeria, The SKA Group Incorporated is a leading, privately-owned, multinational, diversified business conglomerate. It owns and oversees the operations of several companies with interests spanning advertising solutions, branding, catering, clothing, document management, education, financial services, memorabilia, publication, and real estate all over the world. Reporting legitimate, record-breaking profits through the dedication of its employees worldwide, The SKA Group is one of the most admired, dynamic and profitable companies in the world. The vision for The SKA Group was conceived by Sylvester Kay-Adade II in November, 2009, and by September, 2010, it was registered in Canada under the laws of the Province of Ontario. It initially began operations as Pearl Kreations on Monday, January 28th, 2008 in Hamilton, Ontario, while he was a freshman at McMaster University. As Pearl Kreations became more and more successful, it provided the necessary capital for research into new industries. The real estate and retail markets were explored, and the subsequent breakthrough success respectively gave rise to Ransrive Realtors in November, 2009, and Suave Clothing in February, 2010. Those were preceded by the acquisition of accounting and insurance firm, SKA Ventures in June, 2009, and followed by the development of innovations firm, Sylver Productions in August, 2010. Presently, The SKA Group owns Café Euphorie, Herança Financial, Pearl Kreations, Prestige Academy, Ransrive Realtors, Suave Clothing, Sylver Productions, and Vecasyer Hotels & Towers, as well as controlling interests in RCubed-Merit LLP and Spinners Incorporated. The SKA Group will be the global brand with a drive for innovation and heart after perfection. Every business venture owned or affiliated with The SKA Group is held to the highest standards, operated efficiently, and pacesetters in their respective industries. Herança Financial is the global, small business management firm which deals in the provision of top-notch financial advice and solutions for small and medium scale businesses. It provides business analysis, consultation, operating leases, project management, small and medium scale enterprise (SME) loans, training, and excellent financial advice for businesses, entrepreneurs and individuals. Pearl Kreations is the collectibles manufacturing company which manufactures, retails and supplies superior quality button-badges for a variety of corporate, personal, professional, national and international events and purposes. It is the unofficial button-badges supplier for the FIFA World Cup™ Tournaments, the IOC Olympics™ and the UEFA Champions League™. Ransrive Realtors is the real estate company which provides temporary and permanent accommodation through the letting and sale of commercial and residential properties with onsite luxury amenities. Suave Clothing is the unique clothing venture solely in the business of elite corporate apparel. It retails luxury accessories from reputable brand names, and manufactures and sells its own line of bespoke dress shirts, dress pants and suits, as well as provide wardrobe consultation services. It also produces a biannual style publication called The Suave Series. Sylver Productions is the innovative firm which provides unique products and services that meet untapped customer needs. It developed, manages and operates proprietary services like Citymail™, CollegeTix™/TixItUp™, Datlik™ and Wefyl™. Vecasyer Hotels & Towers is the collection of the most stylish hotels and resorts worldwide which offer 5-star accommodation with first class professional treatment and quality services. It also provides chauffeur services to and from international airports. All subsidiaries operate independently, but are monitored and regulated from its Headquarters, SKA Tower, which is controlled by the President. Since 2010, I’ve tried to remake, revamp or upgrade something about the company. This year, I made three major changes – The SKA Group renamed three of its subsidiaries, and changed three logos as well. Pearl Cafes is now Café Euphorie, SKA Ventures is now Herança Financial, and Pearl Academy is now Prestige Academy. Accordingly, the logos of Pearl Cafes and SKA Ventures changed with the new names, but Prestige Academy adopted the logo of its predecessor. RansRive Realtors got a new logo – it previously never had one. As usual, the new designs were made to specification by Najim Team Inc. The SKA Group goes over expectations and beyond imaginations. We overcome every obstacle, extend every boundary and conquer every problem. We go the distance for you. We are constantly raising the bar for excellence and innovating ways to improve the quality of life through our expertise that ranges from advertising to branding, clothing to education, finance to real estate. We are truly your company. Headquartered in Hamilton, Ontario, The SKA Group Incorporated is one of the largest, privately-owned conglomerates in Canada. It owns and oversees the operations of several businesses with branches all over the world in advertising, branding, clothing, education, financial services, publication, real estate and more. Reporting legitimate, record-breaking profits with over 150 dedicated people in employment worldwide, The SKA Group is undoubtedly one of the most admired, dynamic and profitable companies in the world. The SKA Group was founded in Canada by Sylvester II O. Kay-Adade in 2008. It initially began operations as Pearl Kreations (now, one of its subsidiaries) on Monday, January 28th, 2008 in Hamilton, Ontario. As Pearl Kreations grew, he diversified into other markets, thereby giving rise new companies – Suave Clothing and RansRive Realtors. Those were soon followed by the acquisition of SKA Ventures Limited(now, Herança Financial) in June, 2009; and development of Sylver Productions in February, 2010. In January 2010, The SKA Group was set up to manage all the ventures and potential businesses. It became a registered conglomerate incorporated in Canada under the laws of the Province of Ontario in September 2010 with most of its subsidiaries fully functional at the time. The SKA Group presently owns Café Euphorie, Herança Financial, Pearl Kreations, Prestige Academy, RansRive Realtors, Suave Clothing, Sylver Productions, and Vecasyer Hotels & Towers; with controlling stakes in RCubed-Merit LLP and Spinners Incorporated. By December 2010, barely three years since its inception in January 2008, it had grown exponentially in consumer base, sales and revenue with a vibrant work force of about 100 people; thus making it not only one of the most profitable, but also one of the fastest growing companies in the world. 1. Provide superior quality products and deliver exceptional service. 2. Be the best, go beyond imaginations and exceed expectations in all pertaining to us. The global super brand with a heart and drive for perfection. – Fairness: There is no discrimination. Everyone is equal and every job is vital to our brilliant success. – Hard work: Good results aren’t manufactured, but accomplished through hard work. We understand that and very familiar with it. – Lawfulness: All our actions and activities are in total obedience and in complete accordance with the law. – Quality: All our products and services are always kept to the highest standards. Like every family, we trust respect and trust each other; and that attitude follows right from the top to the branches. The people make the company; and SKA people are the best employees, executives, partners and shareholders, hence we are the best company. We make everything about you because it is. – Community: A good community produces good people. SKA people are good people so come from good communities. To keep that balance, we give back through caring for the environment, maintaining old and raising new fundamental structures through our development initiatives; and providing free healthcare for lacking communities through our various outreaches. – Customers: Customer service is paramount to us because without our clients and customers, we would be non-existent. We are committed to continually provide satisfactory products and services that exceed your expectations. Each and every business venture owned or affiliated with The SKA Group are operated at the highest standards; and Pacemakers in their respective fields. Pearl Kreations deals in the production of button-badges and lapel pins for a variety of events and purposes worldwide. RansRive Realtors, which provides accommodation through the letting and sale of commercial buildings, residential suites and houses. Suave Clothing retails luxury accessories and manufactures clothing for the stylish elite and professionals; as well as the provision of wardrobe consultation. Sylver Productions provides documentation, printing and publication services. And, Vecasyer Hotels & Towers is a collection of classy hotels and resorts which offer five-star accommodation with professional treatment and services. The SKA Group also has controlling stakes in RCubed-Merit and Spinners Inc.
Each subsidiary operates as a private entity with individual headquarters and branches worldwide all monitored by the Group’s Headquarters in Canada. Café Euphorie is a chain of state-of-the-art cafes designed for and with the quintessential business executive in mind. Herança Financial is a financial institution which deals in the provision of top-notch financial services and solutions. It provides small business advisory & consultation, small and medium scale enterprise (SME) loans, operating leases, supervisory training & consultation and excellent financial advice for individuals, entrepreneurs and small & large scale businesses. Prestige Academy is an educational institution which delivers quality, unparalleled educational services. These services include entrepreneurial education, financial management education, middle school education, high school education, private tutoring, and renowned etiquette & grooming classes. RansRive Realtors is a real estate company which provides temporary and permanent accommodation through the letting and sale of commercial and residential properties with onsite luxury amenities. Suave Clothing is a clothing venture in the business of elite corporate apparel. It retails luxury accessories from reputable brand names, and manufactures and sells its own line of bespoke dress shirts, dress pants and suits, as well as provide wardrobe consultation services. It also produces a biannual style publication called The Suave Series. Sylver Productions is a media firm that provides ace document management services, as well as unmatched printing and publication services for prospective authors and clients. Vecasyer Hotels & Towers is a collection of the most stylish hotels and resorts worldwide which offer 5-star accommodation with first class professional treatment and quality services. It also provides chauffeur services to and from international airports. RCubed-Merit highlights and optimizes the potential for various living spaces by redefining the outlook of the rooms, offices, homes and workspaces through the reorganization and restructuring of their overall presentation. The SKA Group has fifty-one percent (51%) ownership. Spinners Incorporated: This agency provides expert advertising services and solutions to its clients. It also uses its ace designing skills and creative wordplay to make befitting logos, catchy names and impressive slogans for its clients’ businesses, events and products. The SKA Group has seventy-five (75%) ownership. All subsidiaries operate independently, but are monitored and regulated by the Group from its Headquarters, SKA Tower, which is controlled by the President. Last year, I embarked on the quest for the continued redefinition of The SKA Group, and we have made a couple of changes over the course of the year. This year, we have two new logos – Pearl Kreations’ and Sylver Productions’ have been changed. The logo of The SKA Group has a new look. Sylver Productions has new profile, as well as new products and services. Finally, Pearl Kreations, Sylver Productions and The SKA Group have new and/or upgraded websites. The SKA Group goes over expectations and beyond imaginations. We overcome every obstacle, extend every boundary and conquer every problem. We are constantly raising the bar for excellence and innovating ways to improve the quality of life through our expertise that ranges from advertising to branding, clothing to education, finance to real estate. We are truly your company. The company revolutionizing business and service through its ethics and expertise. Reporting legitimate, record-breaking annual profits with over 150 dedicated people in employment worldwide, The SKA Group is undoubtedly one of the most admired, dynamic and profitable companies in the world. The SKA Group was founded in Canada by Sylvester Kay-Adade in 2008. It initially began operations as Pearl Kreations (now, one of its subsidiaries) on Monday, January 28th, 2008 in Hamilton, Ontario. As Pearl Kreations grew, he diversified into other markets, thereby giving rise new companies- Suave Clothing and RansRive Realtors. Those were soon followed by the acquisition of SKA Ventures Limited in June, 2009; and development of Sylver Productions in February, 2010. The SKA Group presently owns The Pearl Academy, Pearl Cafés, Pearl Kreations, RansRive Realtors, SKA Ventures, Suave Clothing, Sylver Productions, and Vecasyer Hotels & Towers; with controlling stakes in RCubed-Merit LLP and Spinners Incorporated. By December 2010, barely three (3) years since its inception in January 2008, it had made over C$ 1 million in revenue with a vibrant work force of about 100 people; thus making it not only one of the most profitable, but also one of the fastest growing companies in the world. The Pearl Academy, which delivers a host of quality educational services. Pearl Cafés, a chain of state-of-the-art cafes for business executives and the elite. RansRive, which provides accommodation through the letting and sale of commercial buildings, residential suites and houses. SKA Ventures provides top-notch financial services and solutions. And, Vecasyer Hotels & Towers is a collection of classy hotels and resorts which offer 5-star accommodation with professional treatment and services. The Pearl Academy is an educational institution which delivers quality, unparalleled educational services. These services include entrepreneurial education, financial management education, middle school education, high school education, private tutoring, and renowned etiquette & grooming classes. Pearl Cafés is a chain of state-of-the-art cafes designed for and with the quintessential business executive in mind. It offers freshly baked assorted pastries and doughnuts served with freshly brewed coffee and a variety of chilled, natural fruit juices. All shops are equipped with high speed wireless internet connection and a free membership book club. Pearl Kreations is a collectibles manufacturing company which deals in the production of button-badges and lapel pins for a variety of corporate, personal, professional, national & international purposes and events. It is an official partner and the official button-badges supplier the FIFA World Cup™ Tournaments, the IOC Olympics™ and the UEFA Champions League™. RansRive is a real estate company which provides temporary and permanent accommodation through the letting and sale of commercial and residential properties with onsite luxury amenities. SKA Ventures is a financial institution which deals in the provision of top-notch financial services and solutions. It provides small business advisory & consultation, small and medium scale enterprise (SME) loans, operating leases, supervisory training & consultation and excellent financial advice for individuals, entrepreneurs and small & large scale businesses. Sylver Productions is a media firm that provides ace document management services, as well as unmatched printing and publication services for prospective authors and clients. It developed and manages Datlik™ (formerly, EP-Reader™ Initiative) which proofreads hundreds of articles, essays and projects daily. It also developed and manages CollegeTix™, the premier online event hosting and e-ticket sales platform exclusively designed for college and university events and programs. Vecasyer Hotels & Towers is a collection of the most stylish hotels and resorts worldwide which offer 5-star accommodation with professional treatment and quality services. It also provides chauffeur services to and from international airports. The SKA Group provides its products and services through its numerous firms worldwide. The SKA Group has a new online home. It also has a blog, facebook page, twitter account and youtube channel. All subsidiaries operate independently, but are monitored and regulated by the Group from its Headquarters, SKA Towers, which is controlled by the President.